Winter doesn’t mean your Central OH landscape has to look boring. There are many trees that will liven up your landscape and make an otherwise some interest to an otherwise boring time of year. River birch has become a staple of landscapes around central ohio and for good reason. 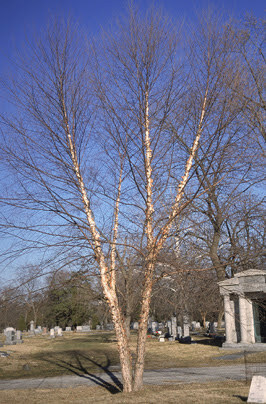 The rapid growth and salmon colored papery bark stands out in an otherwise bare winter landscape. River birch is a medium sized tree which can grow up to 50 ft tall and 40 ft wide given the right conditions. One common mistake homeowners make is planting the tree too close to the house. It’s true a river birch will not grow as large as some trees, and can be planted closer than say, a red oak, but it is still wise to give it some space. 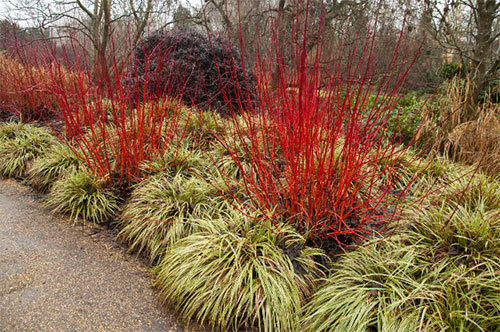 Although not really a tree, red twig dogwood makes a great winter plant. 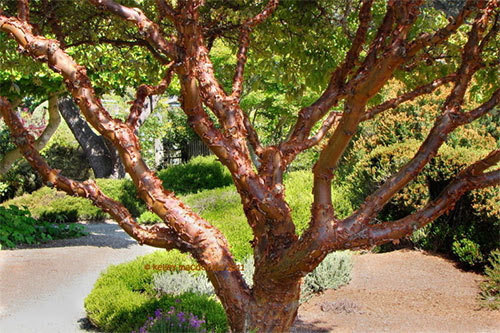 The unusual red colored bark can be very eye catching. Red twig dogwood is a relatively pest free plant that will do well in central Ohio. Yearly maintenance includes cutting back old stems to the base which allows the plant to grow new brightly colored stems. Evergreens are always a solid choice for year-round interest. One of my favorites is the hemlock. 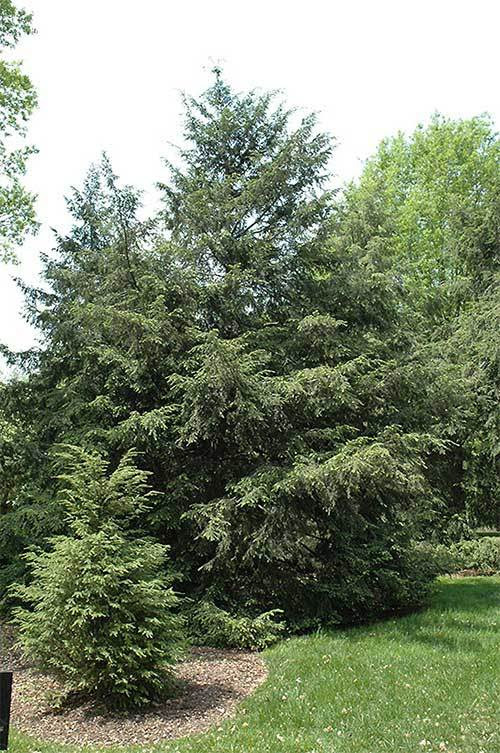 The soft evergreen needles and graceful form are a welcome addition to most landscapes. There are some major pests to be aware of when it comes to hemlock. These include: elongate hemlock scale and hemlock wooly adelgid. Take a close look at the needles, including the underside. Although these pests can be pretty devastating, they can be controlled with insecticides. Evergreens can also make a great windbreak to shield your home from bitter cold winds. Arborvitae, hemlock, spruce, and pine trees can all serve as effective barriers whether for privacy or protection. However, be sure to choose your planting site carefully. Although evergreens will provide great protection from the winter winds, they will also block the sunlight that would otherwise warm your house. This small, slow growing tree has bark that peels off in sheets revealing new cinnamon colored bark underneath. It makes a great specimen tree and will do well in areas where space is limited. The tree needs acidic soil and will not tolerate drought conditions so make sure you choose your planting site carefully.